ABIDJAN – FIBA Africa has reformulated the Africa Champions Cup (ACC), and its new version is set to start in January 2019. With the aim of revitalizing Africa’s clubs competition, the continent basketball governing body made a number of significant changes that will impact the game across Africa. It will require clubs to team up with local federations. The new competition is branded FIBA AfroLeague, and it has increased the number of participating clubs from twelve to sixteen. All sixteen teams clinch a spot in the AfroLeague through a regional qualifier (FIBA Africa Zones 1,2,3,4,5,6 and 7). The qualifiers for the inaugural AfroLeague started in September and will run until mid-December while the Final Round will take place from January 11 to April 21, 2019, across different African cities. The 16 qualified teams for the Round of 16 will be divided into 4 groups of 4 teams each and the competition will be played in a round-robin format with each team taking on its 3 opponent respectively. And, the clubs that finish in the top 2 teams from each group advance to the Elite 8, where clubs will be divided into four groups of 2 teams each. The teams will play home-and-away games in the knock-out format. Finally, the four winners from Elite 8 advance to the FINAL 4. 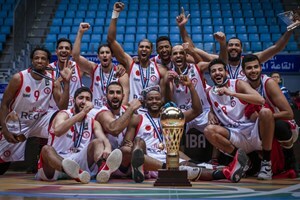 So far, clubs qualified for the FIBA AfroLeague include Al Ahly of Egypt – winners of the Zone 5 Qualifiers, Smouha (Egypt), both Primeiro D’Agosto and Petro de Luanda of Angola, and Ferroviario da Beira (Mozambique) who finished first, second and third, respectively, in Zone 6 Qualifiers.